Hello there, our cookbook full of tech tutorials offers an amazing tutorial that involves hiding last seen on WhatsApp. After this post, you will have learned how to hide last seen on WhatsApp. Have you ever noticed that your contacts ”last seen isn’t” showing? Now, by last seen I mean when you check to see when last your contacts where online. Some contacts may show ”last seen yesterday” ”last seen 2 hours ago”, and others may not show any last seen status. 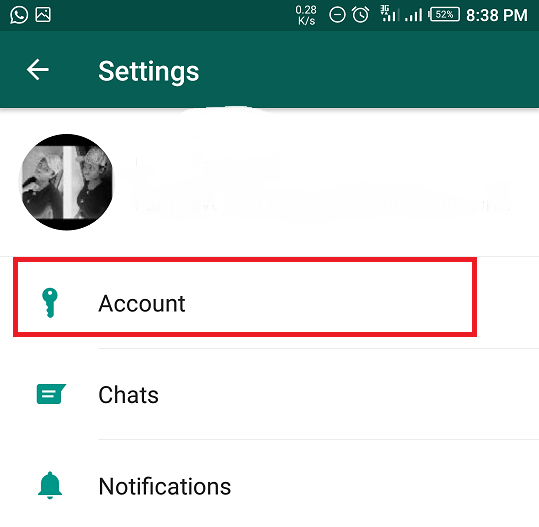 This is possible and means that he/she has set their privacy setting to hide last seen on WhatsApp. WhatsApp has made its way to becoming one of the most used messaging platforms with different captivating features like the voice and video calls, images, GIF and videos embedded in it. Some time ago I wrote about the WhatsApp text effect, and WhatsApp quote reply. You can check them out. You may be left in your own world of ignorance while others are making the most out of their Apps, having fun, exploring new features, and learning as well. This is where the saying comes in “move with the times”. 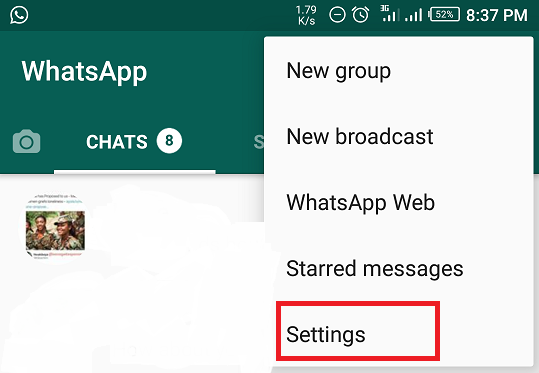 A lot of people who use WhatsApp regularly are not aware of the most likely interesting features in it. Probably all you are interested in is chatting and uploading a profile picture. But there’s more to be aware of. Think for a moment, you visit a well-known friend who is tech-savvy and expects you to be same but while you go through his/her WhatsApp, you discover new features which you do not have on your app and you begin to ask questions and get confused. I bet you would not want to experience this feeling. 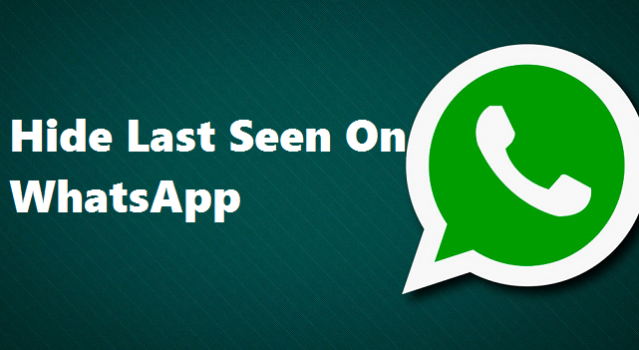 Last seen on WhatsApp simply means the last time you were online. With this information in the ”visible mode”, all your contacts and everyone that has you on their WhatsApp will know when you are online or when last you where online. On the contrary with this information hidden, no one will know when last you were online. It’s more like being anonymous. Now, it all begins with having the latest version of the WhatsApp messenger. To do this, you need to install the app from Google Play store for Android and on iTunes Store for iPhone. 6. Choose from the list who will see your last seen. When you click on the last seen a box pops up showing three options. EVERYONE, MY CONTACTS, NOBODY. Select which group of people you want to share your last seen information with. EVERYONE: Your last seen info will be visible to all. 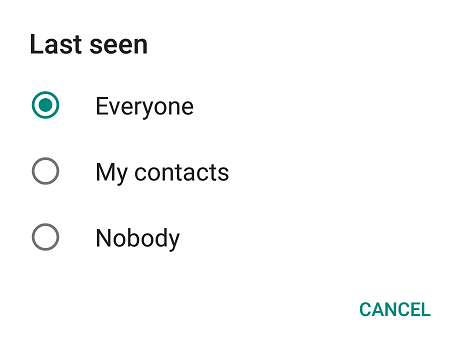 MY CONTACTS: Your last seen info will be restricted to only your WhatsApp contacts. NOBODY: Here, no one gets information on when you were last online but when you are online, it will be seen that you are active. NOTE: If you set your last seen status to NOBODY, you will, unfortunately, lose access to seeing other people’s last seen status. The Hide Last Seen Feature cannot hide your online status. Whenever you are online on WhatsApp, it will be visible to your contacts. 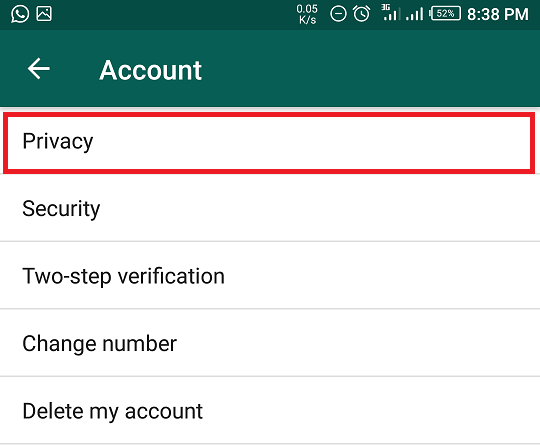 All the steps mentioned above is applicable to Android, iPhone and IOS devices provided the WhatsApp is running on the latest version. Q: Why Do People Hide Their Last Seen? A: There might be many reasons to hide their last seen. Most of which could be personal reasons. Q: Do I Need To Disable The Hidden Last Seen When I Need It Cancelled? A: Of course you will need to sable the setting. It cannot be disabled automatically. Q: How Can I Disable The Hidden Last Seen? A: it can be disabled following the same steps with which it was enabled.